You slave away at writing the perfect guest post for a very popular website. You can’t believe they accepted your pitch, but you push your excitement aside and get busy writing. When the last sentence is done, you press save and take a deep breath, thinking you are all done – but you’re not. Guest posting is a great way to market yourself as a freelance writer. You get to write in your niche and build up your portfolio with relevant work you want to continue doing. 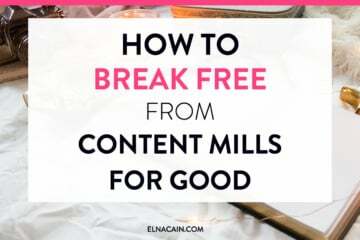 But, how do you maximize your chance of getting a lot of people, specifically potential clients, to view your guest posts? It isn’t enough to share it across social media or even write on your blog telling your audience you have new guest post. 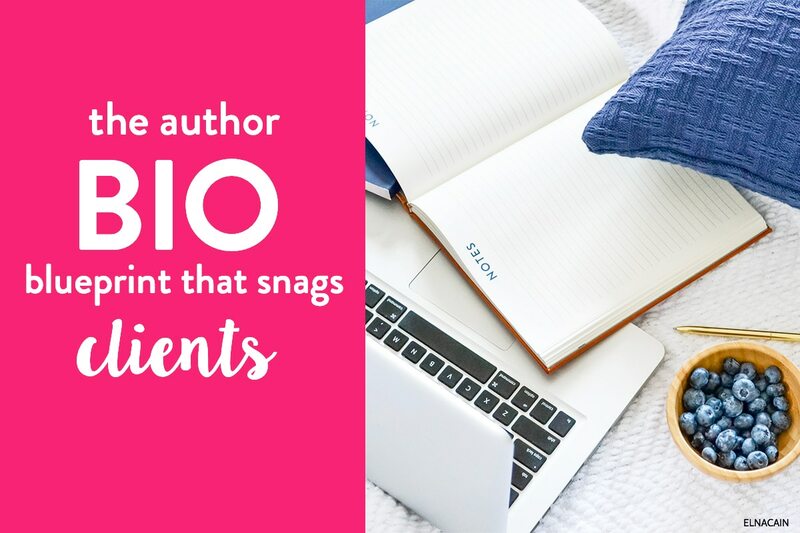 No, the best way to attract potential clients is with your author bio (along with your wickedly awesome guest post). The last piece of your perfect guest post is an author byline that will wow prospects and spur them to contact you. How do you write an author bio that entices clients? Many freelance writers don’t give their byline much thought – you make sure to mention your name, services and website and you’re good to go. 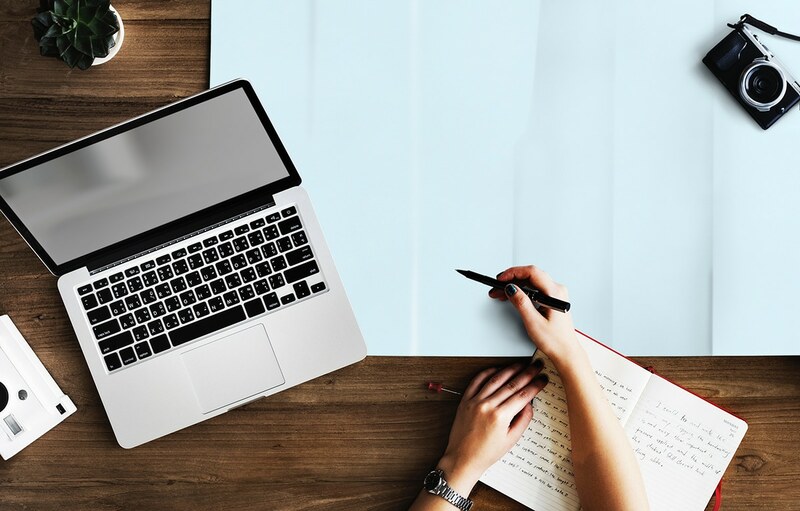 Well, if you’re new to freelance writing and you want to use your byline as a marketing tool for more business, there are certain elements that it needs to have in order to generate that outcome. I call this my author bio blueprint and I’m going to share it with you. One of the reasons I even guest post is to show off that one piece of hot real estate – my author byline. It’s a chance to broadcast my name and my services out to hundreds, if not thousands of people online. Some writers never give away their writing for free. But, what they often forget is it pays to write for free. How can giving away your work pay off? Your guest posts will help you build your portfolio if you don’t have any client work yet. Often, guest posts are more versatile than some of your client work. You can even land a freelance writing job by guest posting! Your byline is also a great way to expand your brand messaging. Your personal brand as a freelance writer is what sets you apart from other freelance writers. What is it about YOU, that is different from all the other freelance writers online? And in order for your author bio to be a part of your personal brand, it has to be memorable. There are 6 parts to my author bio blueprint. Now, you don’t need all six parts to snag a client, but it sure helps in making a darn good bio. And before we get into the nitty gritty of this post, if you don’t have time to read it, I’ve streamlined the info all in my YouTube video! I would love it if you checked it out and to make sure to subscribe to my channel! 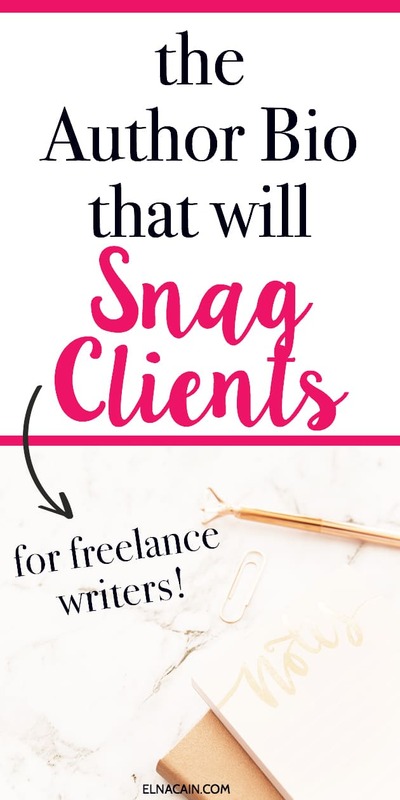 All too often I will come across a guest post from another writer and after reading their author bio, have no clue if they are even a freelance writer or if they are looking for freelance writing work. In order to get the most out of your bio, it needs to be specific. I mean you’re sending out your hard earned work in hopes of getting social shares, Likes and writing work. Why not make sure it’s attributed with all the right information? So, what specific information does your author byline need to convey? What good is a byline if it doesn’t link back to your website or Hire Me page? The sole purpose is to bring new readers and prospective clients back to your site so make sure you make it easy for them by providing a link. What if you don’t have a writer website? While it is important to have a website for your budding freelance writing career, you could get away with your social media profiles. Now, if you’re business isn’t on social media, you shouldn’t be guest posting! Before you start to pitch your ideas to guest blogs, build your writer website and fill out some social media profiles for your business. 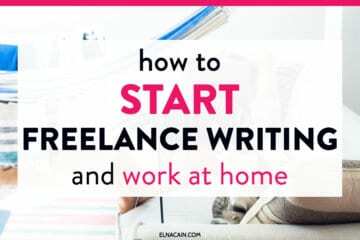 This will help you get established as a freelance writer and make you more credible once you begin to guest post. Not all author bylines will have this element, but it can help you distinguish yourself from other freelance writers. Besides linking to your website, it’s a good idea to link to products you have that would benefit a reader or potential client. While an author byline can attract future clients, it will also attract new readers. They will be more willing to become a regular reader if there is a free incentive. For my author byline I try to include a link to my free email course, Get Paid to Write Online. The point is to get readers or potential clients back to your website to linger and get to know you better. If you’re new to freelance writing, you may think you only have to write one author bio for all your guest posts. I was under the same impression when I first started guest posting. It wasn’t until I saw other popular freelance writers’ author bios on different sites that I realized theirs were tailored and mine wasn’t. From that point on, I started to tailor my author bio in order to highlight my expertise in what I was guest posting on. 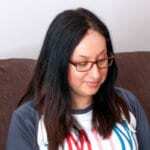 Elna Cain (@ecainwrites) is a freelance writer for hire who lives in Canada with her husband and twin children. As a writer, she is passionate about providing natural living advice in order to help others find alternative ways towards a healthier lifestyle. You can find more about Elna at Innovative Ink. 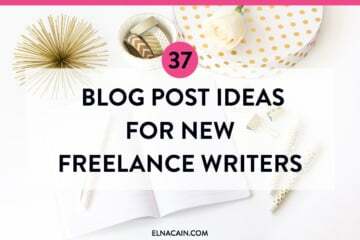 Elna Cain has been a freelance writer since 2014. Although she’s fairly new, her effective marketing strategies and her publications in Social Media Today, Brazen Careerist and Psych Central have helped her quickly land clients. She also offers marketing, blogging and freelance writing tips to novice freelance writers at Innovative Ink. 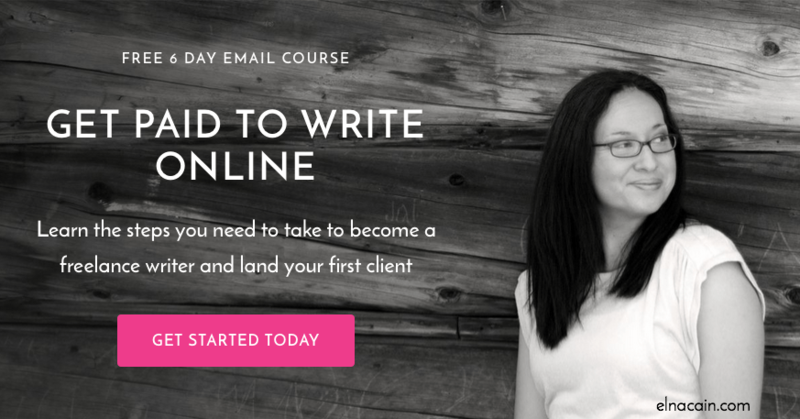 Be sure to check out her free email course, Get Paid to Write Online and connect with her on Twitter. How did I tailor my author bios? I made sure to mention my expertise that was related to my guest post. Over time, I changed my specialties to include not only what I’m guest posting about, but what kind of writing work I want. Currently my author byline might include: digital marketing, social media, and health. A great way to make your author bio pop is to include a personable tidbit. Whether it’s you’re a young journalist or you’re a mother of twins, injecting a bit of personality can help you land a client. Not every author bio I have mentions that I’m a mother of twins. It depends on the website and if it truly is relevant to helping me land a gig. Marianne Griebler is a marketing communications consultant who lives with her family in Chicago. She also writes about the workplace, parenting, senior care and health issues. In her free time she’s a certified volunteer arborist, an avid theater goer and a literacy volunteer. Please visit her website at mariannegriebler.com and follow her on Twitter at @magriebler. Sue Anne Dunlevie, owner of Successful Blogging has been passionate about business since she was 12 and started her own toddler day care group at her swim club. Now her unique talent lies in helping women business owners make more money by blogging. Depending on the nature of your guest post, you can be as liberal as you want with showing your personality. For me, it’s having a nice balance between showing prospective clients I mean business, but that I’m also a mom trying to take care of my little monkeys! 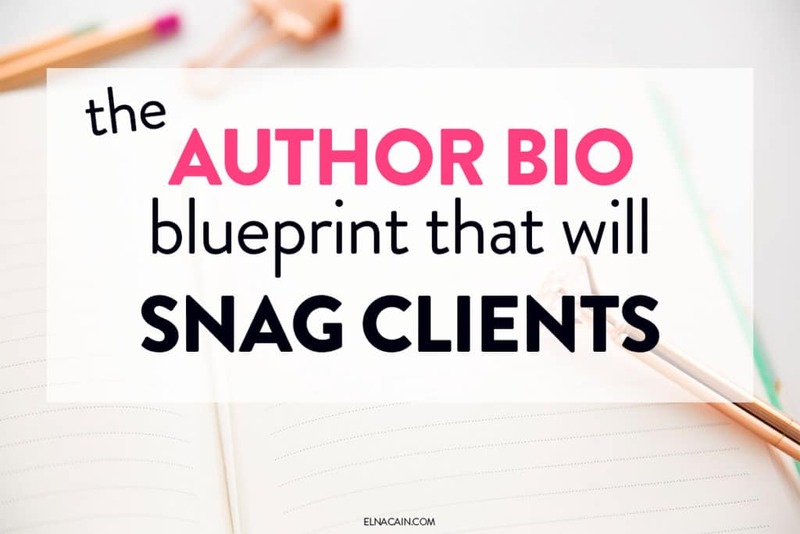 Are You Ready to Snag A Few Clients With Your Author Bio? There you have it! My awesome blueprint for the best author bio. As I mentioned before, you don’t have to use every element at one time. I certainly don’t – I just found using a few at a time makes for an easy to read bio. I’m probably sure you’re wondering if my bios have snagged clients? They have! I had two clients that I know for a fact came to me from my author bio on my guest posts. So, tell me, are you happy with your author bio or do you think you need a new blueprint? Let me know in the comments! This is so true, Elna! I found I needed to put a little more thought into my author bio and your article was so helpful! So happy you found this helpful! Yes, your Author bio is super important to helping you find more clients and gigs! Greetings Elna….inspiring, helpful, uber pleseant vibe….I am grateful for your expertise and tools. I have discovered your blog when I decided to start my own freelancing career and I find it very helpful. It covers all relevant topics and provides plenty of useful links. Question relating to this post – if I write a guest post, do I submit my author bio with it? Or is it something the blog should ask me for? Thanks so much! You can send your author bio if you want! I usually do! Wonderful Elna! This was really something which I yearned for. A lucid explaination is something which sets you apart I guess. Thanks a lot. I am on my way in developing my first bio! Elna, you’re a great inspiration to me, and a blessing to my morning! I’m also a stay-at-home mom with little extra time. Thank you for this post, Elna! I really needed it since I’ve been feeling like something is missing from my guest post author bio. I’m a regular visitor to blog. I’m glad I found this post. It’s well written. Great article, Elna! I write a similar piece on Be a Freelance Writer a while back, and I mentioned all of this, so seeing as this advice is coming from multiple places, I’d say it’s pretty important for freelancers to consider. Loved your post on Be a Freelance Writer. You provided great tips and it helped me with writing my own author bio. Glad you approve! Thanks for this super-useful post. Writing an author bio is incredibly challenging and so far mine sound stilted – I will use your tips and continue to plug away. That’s great to know you enjoyed my post and found it useful! I get all giggly knowing I’ve helped other people. Your author bio is a tough one to write. You want to sound like an authority but you don’t want to toot your own horn too much! You’ll also don’t want to be too personable and sound like a hobby writer! That’s a great post, Elna. I tweaked my author bio several times but kept it more generic. I find practical takeaways here. Glad to know you are changing up your author bio and seeing what is working. This is something all freelance writers should do if they want to contain their profession. Such good tips, Elna. People tend to overlook the importance of those bios! Thanks. Glad you liked my post about creating your author bio on guest posts. They are important as they can bring new readers back to your blog and hopefully new clients. I never thought about writing a different bio for each blog or post, but that’s a wonderful idea. Thank you! Thanks! Yeah, I think it’s a good idea to change up your author bio depending on the site it’s on. Since I’m a freelance writer with expertise in several niches, I always want to highlight the niche I’m guest posting on in my author bio. It only makes sense. Wonderful advice, Elna! Thank you. I’m not doing guest posting just yet, but a lot of this is also great advice as it relates to ‘about me’ pages on a blog. Yes, an author bio is similar to your about page, for sure. I actually have a post about your About Page, coming up in April, so be on the lookout for that! It’s great that you were able to take my advice and relate it to your situation. Thanks for taking the time to reading it and commenting on it! These are great tips Elna! I am glad you touched on the bio being different pending on who you are writing for. I have a general one saved and I once wrote for someone and changed it a bit and wondered about that. I am doing a guest piece for another blog in April and started working on it the other day! This came at the perfect time! I’m happy that my post came at the right time! Thanks for your compliment. I think it’s a good thing to put a little effort into your author bio. It can be a great magnet for clients and for traffic, especially if your guest post reflects your expertise in your niche. I’m not guest posting as frequently as I should be, but, then again, I have a full schedule of paid writing to do! I am, however, a regular contributor for FreelancerFAQ’s and Tweak Your Biz. This is so timely. I’ve been struggling to put the finishing touches on my short bio, which is sadly taking me longer than the actual blog post. Thanks for another great post, Elna. Glad it came in handy for you! I just headed over to your blog and followed you on Pinterest. Writing an effective author bio can be tricky since it’s only two or three sentences (for most bios); you have to put in a lot of detail without making it sound awkward. For me, I have a hard time putting some personality into my bio without sounding amateurish. I think I’ve found a nice balance when I mention my twins and, “dishing out the latest parent fail.” So far, it seems to be attracting the right kind of clients! This is great advice! I’ve started writing a few different bios to have on hand, depending on the needs of the website where I publish. It’s a challenge at first, but the more bios I write, the easier they become. Thanks for your comment! I’m glad my post is helpful for other writers and bloggers! Many writers aren’t sure what to put in their author bios, so I though I’d write a post about what elements I use when writing my post. It’s true, the more bios you write, the easier they become! Great post! I’d asked myself the same question the other day when finishing up a guest post. Thanks Kyle! I’m glad you found this post insightful and useful. Your author bio is important, but it is a work in progress. I find that I change up my author bio depending on the guest posting site and I try to make it better each time.